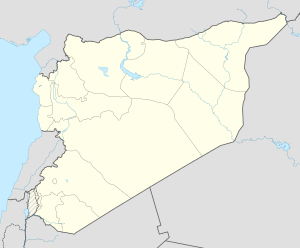 Al-Dimas (Arabic: الديماس‎) (kent as Ad Dimas an aw) is a toun in Sirie, locatit wast o the caipital ceety o Damascus. It haes an elevation o 1276m abuin sea level. Ad Dimas is kent as the location whare a Canadian peacekeepin aircraft crashed efter being shot doun bi three Sirie Surface-tae-air missiles on 9 August 1974.